Murmur leverages robust machine learning algorithms and novel hardware to empower anyone to diagnose heart diseases. Millions of people across the world suffer from heart disease and millions more will go undiagnosed, often resulting in unfortunate and unexpected death. Murmur helps prevent these deaths. By providing a point of care diagnostic system, Murmur allows anyone the ability to diagnose for several life threatening diseases through easy to use hardware and machine learning. Thus, anyone - from the suburbs of America to villages in Brazil can have easy access to the gold standard of heart health care. Murmur offers individuals unconventional management of their own health. Specifically, it is a portable easy-to-use stethoscope that provides an instantaneous point of care via machine learning without the need for a doctor or other healthcare professional. The project is split into three parts (view photos): (1) Novel 3D Printed hardware that was influenced by contemporary literature. The designs used TinkerCad and were made on MakerBot Replicator machines. (2) The stethoscope relays audio through an electret microphone and a Raspberry Pi system where it can then be processed and fed to the machine learning schemes described below. (3) We used Python, Keras, and Pandas to design a multilayer perceptron to classify and distinguish between normal and abnormal heart signatures. Abnormal signatures were further analyzed by a second set of neural networks, offering insight into the type of abnormality (e.g. arythmias, stenosis, regurgitation, etc.). Open source data (audio waves of different physiologies and pathologies) was gathered and trained on - linked on Git. Knowing almost nothing about the heart before the hackathon, learning about stethoscopes and heart abnormalities was a challenge especially since our goal was to design a new type of stethoscope. As is the case with most Artificial Intelligence projects, gathering raw data that could be processed was a big challenge and was only solved by gathering data from several sources. With nominal past experience with Raspberry Pi's and circuits setting up the microphone and setting the system up was a challenge. 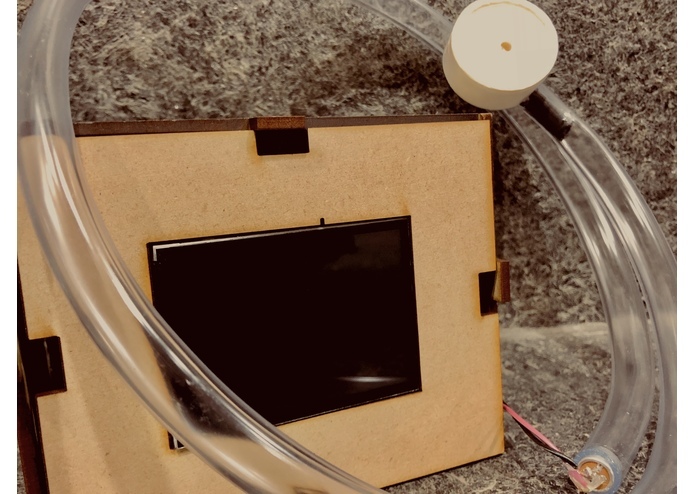 Building a lightweight, portable, cost-effective, easy-to-use stethoscope that allows anyone to quickly and accurately detect several different heart abnormalities. We would love to expand the scope of the diseases we can detect to include pulmonary diseases as those can often be detected via analyzing the sounds of lungs via stethoscopes. Additionally, we would love to reproduce our hardware with more professional resources and develop a more sleek UI.